I'd like to use emacs more, but I'm still used to some of my previous workflows I know from most modern IDEs. What my emacs lacks most is a static list of the open buffers or files. By static I mean: As I click on one of the buffers in that list that very buffer should open in an different buffer-window, not in the one of the listing. The picture you posted confuses the question somewhat. The picture shows a file selector. Files and buffers are different in Emacs. When you open a file, you visit it. 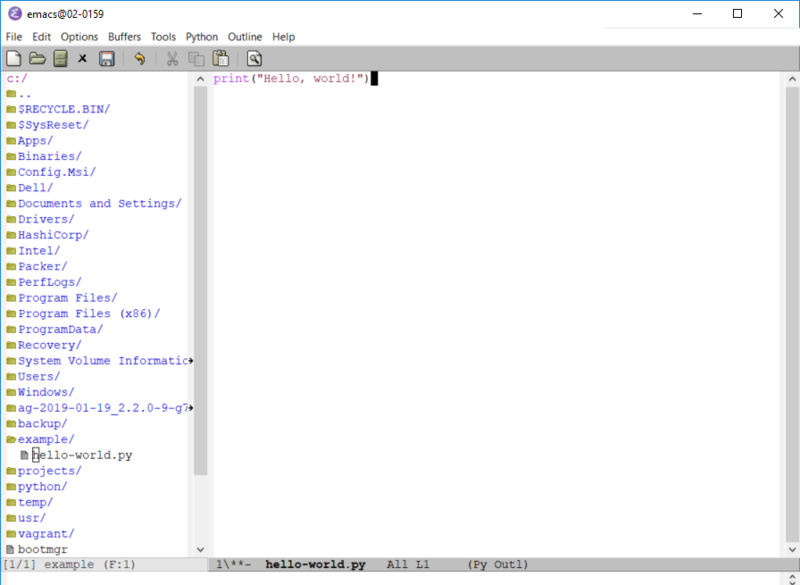 That is, the file contents are read into Emacs and the file remains available to other processes. The file contents and the buffer are not guaranteed to be the same at all points in time. 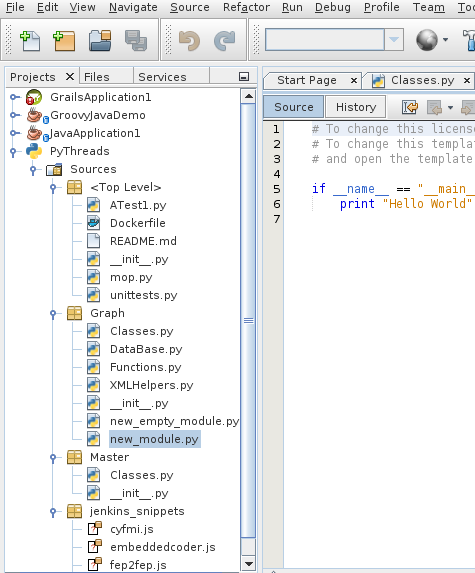 Some modern IDEs conflate loading/saving which can obscure how processes actually happen (looking at you PyCharm). Because there isn't always a direct comparison between Emacs and IDEs, I will address both file browsers and a static file buffer list here so that you can decide what works best for you. You may find Emacs offers a better workflow that your previous IDE couldn't. To toggle it, I like to use (global-set-key (kbd "C-x M-f") 'neotree-toggle). I don't know of a persistent buffer list package that currently exists. It could surely be created, but it seems like most Emacs users are happy with the default list-buffers or something like helm-buffers-list. This will open the selected buffer in the other window. Note that this will work best with two windows open. Specifying a specific window among several is a non-trivial problem that has been addressed elsewhere. Treemacs is a file and project explorer similar to NeoTree or vim’s NerdTree, but largely inspired by the Project Explorer in Eclipse. It shows the file system outlines of your projects in a simple tree layout allowing quick navigation and exploration, while also possessing basic file management utilities. The original poster has expressed dissatisfaction with the way in which the *Buffer List* selects/displays a target buffer; e.g., by replacing the *Buffer List* buffer with the target buffer. 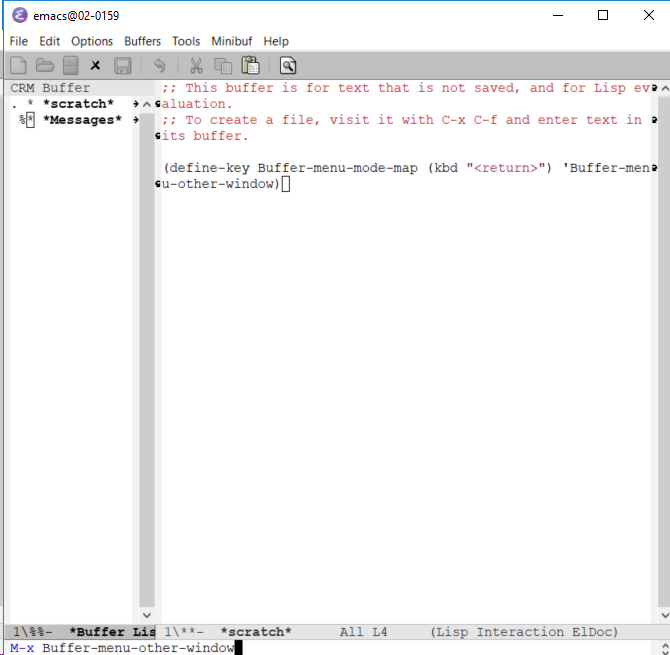 The command one would use after M-x list-buffers (aka C-x C-b) and navigating to a desired buffer in the list is the letter o, which will "Select that buffer in another window, so the Buffer Menu remains visible in its window". To learn about the other commands that are supported when using list-buffers, from the *Buffer List* window, type C-h m (aka M-x describe-mode) to see a variety of information including, but limited to common keyboard shortcuts that work within that buffer. There are other built-in buffer list navigation tools and a plethora that can be added. Not the answer you're looking for? Browse other questions tagged buffers window or ask your own question. How can I display a list of all buffers when clicking on the buffer name? Evil emacs use `dd` change buffer and paste with `p`?